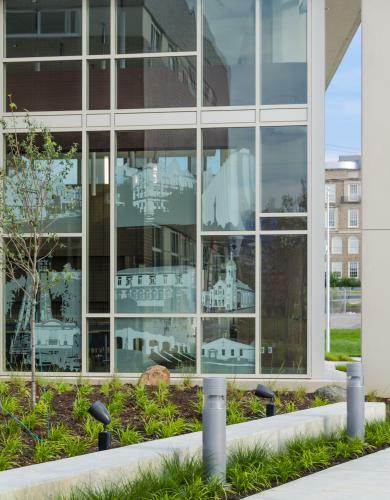 City of Cincinnati commissioned emersion DESIGN as part of a design/build team to design and construct the District 3 Police Station Headquarters. This new 40,000 square foot, state-of-the-art facility is located on the City’s west side and allows 200 of Cincinnati's finest to better respond to citizens' needs in the 14 western neighborhoods encompassed by District 3. The building program includes a public lobby, administrative spaces, investigations offices and work areas, patrol functions, file and records storage, property and evidence handling areas, support areas for the police staff, and mechanic’s bays. 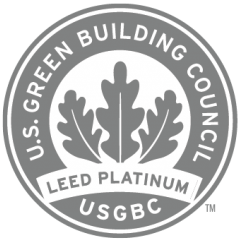 Additionally, this headquarters is the first LEED Platinum, Net-Positive Energy police station in the world! Working with the police staff, neighborhood committees, and city planners, aggressive goals were set to reduce life-cycle costs of the building while maintaining function for police activities, security for occupants, and an aesthetically appealing design within the community. The project acts as a catalyst for appropriate means to integrate both environmental and community sustainability. The project included a public art component. 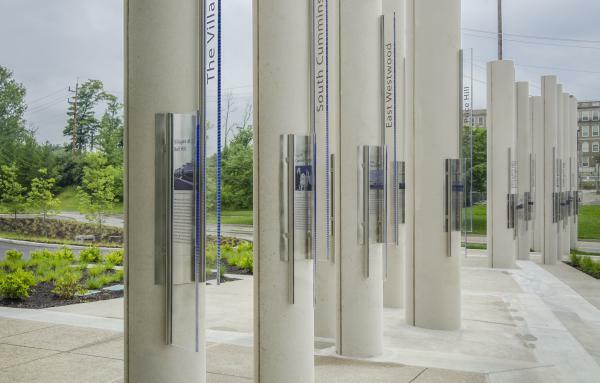 Each of the 14 neighborhoods in District 3 is identified with an iconic image and community story expressed on Plexiglas blade and mounted to a precast column. The blades are lit by colored LED lights. The owner, contractor and design team worked with a Community Advisory Team to identify and design 4 art components integrated into the police station. 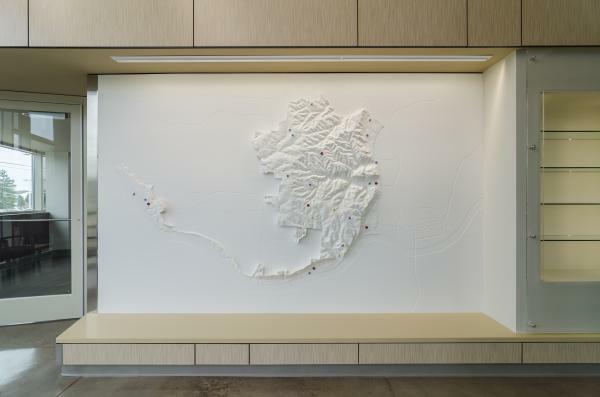 A solid surface topographical map is positioned in the public waiting area. Icons are identified as part of the neighborhood wayfinding. The committee met the design team 12 times to work through the various art components. Neighborhood icons were selected to be printed on a film and installed on the windows of the community room, which can be seen from Ferguson Road. The committee also desired an enhanced landscape package. 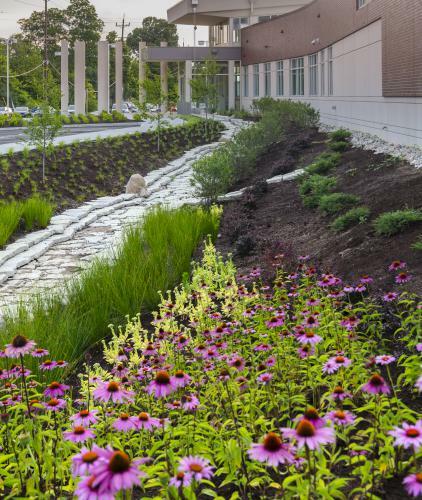 The rainwater is collected in a stone 'river' and enhanced bioswales to allow for aquifer recharge and filtration before reaching the overflow.